This guest post is by Emily Walsh, community outreach director at the Mesothelioma Cancer Alliance. 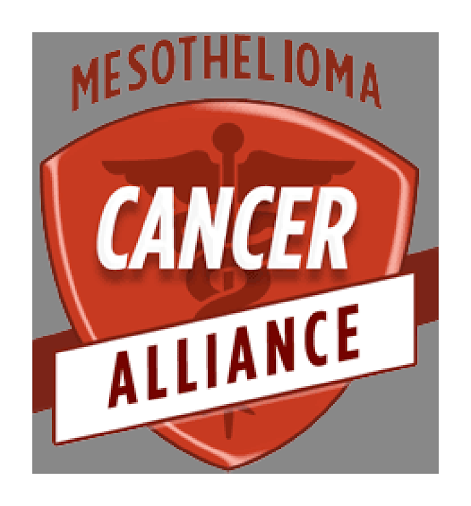 The Mesothelioma Cancer Alliance, while focused on raising awareness for mesothelioma and bringing about the ban of asbestos, is working to shed some light on what this might mean for oncology patients in the near and far off future. In 2016, former US Vice President Joe Biden was given the task of heading the Cancer Moonshot Initiative by former President Barack Obama; an initiative that means paving the way for finding a cure for cancer by the year 2020. By no means an easy feat, the goal of the Moonshot program is to make existing treatments available to more people, improve our ability to prevent cancer, and explore ways to more easily detect it at an earlier stage. Since then, the Blue Ribbon Panel was created with industry leaders, doctors, and advocates convening to discuss and present recommendations to make a decade of progress in only five years. After their conference, the panel presented a linear plan outlining 10 recommendations that provide clear goals for researchers, advocates, doctors, and other industry professionals. Included in the panel’s recommendations is the goal to build a national cancer data ecosystem. Currently, the Genomic Data Commons has been working to achieve this goal by creating and maintaining a coordinated and unified data repository for cancer researchers to add to and reference. Rare cancers like mesothelioma, which only affects about 3,000 people per year, stand to benefit by this data sharing as well. Genomic data has proven useful for people battling a variety of cancers, helping them to find possible treatment options that were effective against other types of the disease. Those particular treatments, due to similarities of genomic malformations, could prove beneficial against more than one type of cancer. As more testing and more data becomes available, the likelihood of patients and their doctors finding alternative treatment options will hopefully increase. Another recommendation made by the Blue Ribbon panel calls for additional patient access and participation in new and existing programs to allow cross-organisational access to data. By increasing the amount of available data, it allows more transparency for patients into their available treatment options. In prior years, if a patient was diagnosed with a rare cancer they would be tasked with transferring their existing data and files to the closest cancer centre equipped to treat their particular disease. A new program with the Cancer Moonshot may now allow those same patients access to medications, which would mean less travelling for patients and their families and the ability to be treated more often within their community. Additionally, the goal of increased patient involvement would encourage oncology patients to allow their data to be added to a greater repository to be referenced in the future. The Precision Medicine Initiative (PMI) required that patients be more involved and have a better understanding of what will happen to their information to encourage participation. With increased patient involvement and open data opportunities, the hope is more patients will be able to find and participate in clinical trials designed to treat the specific genomic malformations that cause their type of cancer. For the Moonshot Initiative to be successful, the existing red tape between governmental organisations, hospitals and cancer centres, research facilities, and pharmaceutical companies will need to be eliminated. With each sect doing its own research and having different informational repositories available, the process of ongoing cancer research has been slowed, delaying possible innovations and discoveries to treat cancer more effectively. By eliminating those barriers, the hope is that patient records, research information, clinical trial results, and genomic studies will be readily available to industry professionals who can use that information to further their own research. The Initiative also will allow patients to become more actively engaged and involved in their treatments, allowing the collection of their data to be used to help develop innovative diagnostic tools, management plans and treatments. Major headway has already been made in terms of organisational partnership. A taskforce of governmental agencies was created by Biden at the onset of 2016. With the hefty goal of a cure for cancer, the taskforce will work cohesively to find a cure for cancer, ensure governmental federal funding is being used appropriately and optimally, identify and develop both public and private partnerships, identify and address unnecessary barriers, and support increased access to medical data. The goal of the Cancer Moonshot Initiative is to find a cure for cancer, but the approach being taken will provide more than the cure; it will provide generations to come with increased medical knowledge and resources from which to learn. Treating cancer by the genomic mutation, rather than just the type of cancer, and allowing more people access to clinical trials is an ever-expanding goal of the cancer community. For patients with rare cancers, these new collaborations, partnerships, and open doors could make every difference. As the Cancer Moonshot Initiative proceeds, more options will become available to oncology patients, and their data will serve to help those with similar forms of the disease in the future. It may not lead to a cure for cancer within the next three years, but with these lofty goals in mind, the cancer research and treatment communities will work together to accomplish ten years of research and development by the year 2020. With patients becoming more aware, organisations being able to work together, and more innovations being brought forward, the cure for cancer has never been more within reach. As it stands, there is not a single cure for cancer, as even the same type of cancer in different people can react differently. With the CMI, increased research and funding for treatments, such as immunotherapy and gene therapy that are only able to be used in clinical trials or open access, will be at the forefront of areas to be explored in search of the cure. Previous story Is sharing always caring? On open genomic data sharing and why people do it.